From draglines to egg sacs, find out about the many ways that spiders use silk. 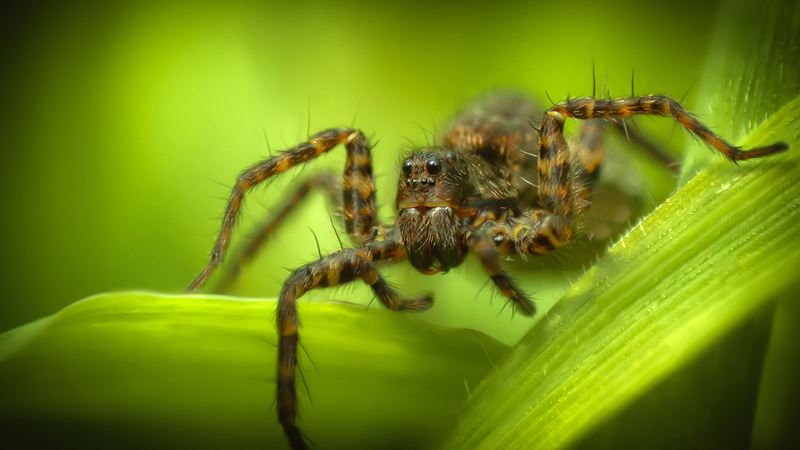 Rather than spin a web, wolf spiders catch their prey by stalking it on the ground. Wolf spiders use draglines to keep themselves anchored at all times. Male wolf spiders use appendages called pedipalps to signal to females and deposit sperm. Female wolf spiders carry their eggs around in silk pouches, keeping them safe. They catch prey by stalking it on the ground. But just because they don’t spin webs to catch their food doesn’t mean they don’t need silk.